How I chose two Liz Claiborne bags in a row is beyond me. But here we are. This briefcase is mock croc faux leather aka pleather or vegan leather as the folks are calling it now. If you knew me as a librarian, you might remember me rocking this bag at the public library and Sands Montessori. I carried it a lot, especially when I was creating Homework Central. What can I say; I felt super classy. The bag has several internal dividers like a mini file cabinet and has a spot for your computer. There’s also an outside pocket on the back for your favorite magazines and papers. I got this at TJ Maxx around 15-17 years ago. Mock croc is a pattern that never really goes out of style. Neither does patent leather. So it’s a classic look that you can dress up or wear as my sweet baby is with a casual look. It elevates your whole aura. I carried it a LOT, and it looks fantastic. I’m not sure exactly why I’m parting with this bag, but sometimes you have to close your eyes and let it go. Email me at 50favbags@gmail.com if you like bag 21. 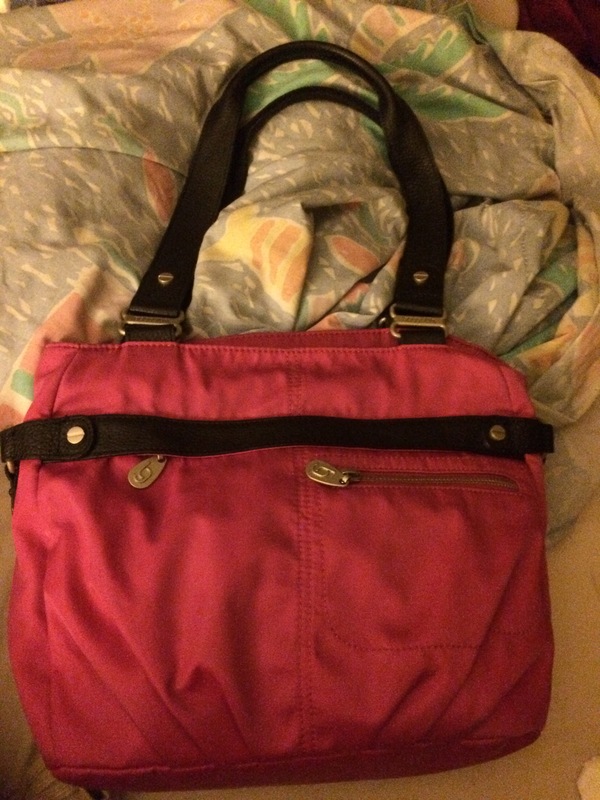 This entry was posted in 2019 Lent Bag Giveaway, tj maxx and tagged briefcase, Homework Central, library, liz claiborne, mock-croc bag, Sands Montessori, work on March 29, 2019 by miriamgmck. 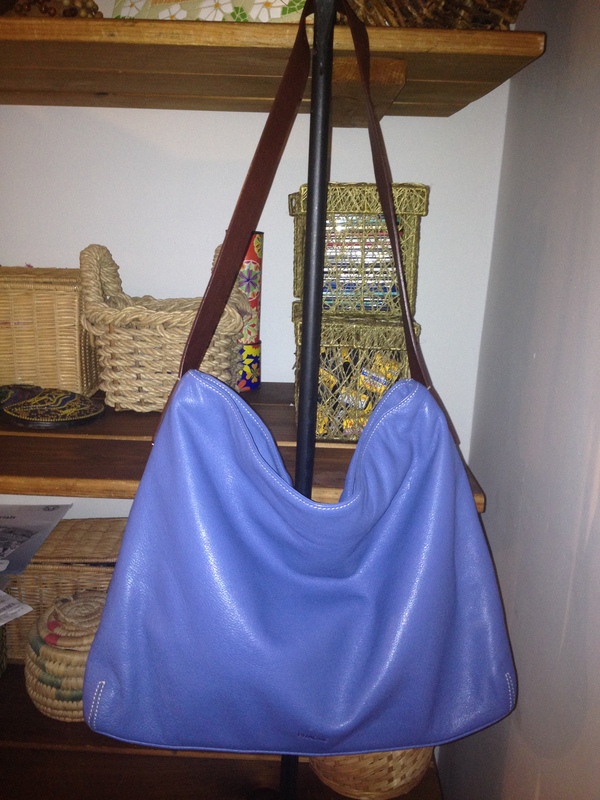 Remember old school Liz Claiborne bags? I had a couple back in the day; the coated leather circle bags with the embossed pattern? Yeah, I know some of you remember those. 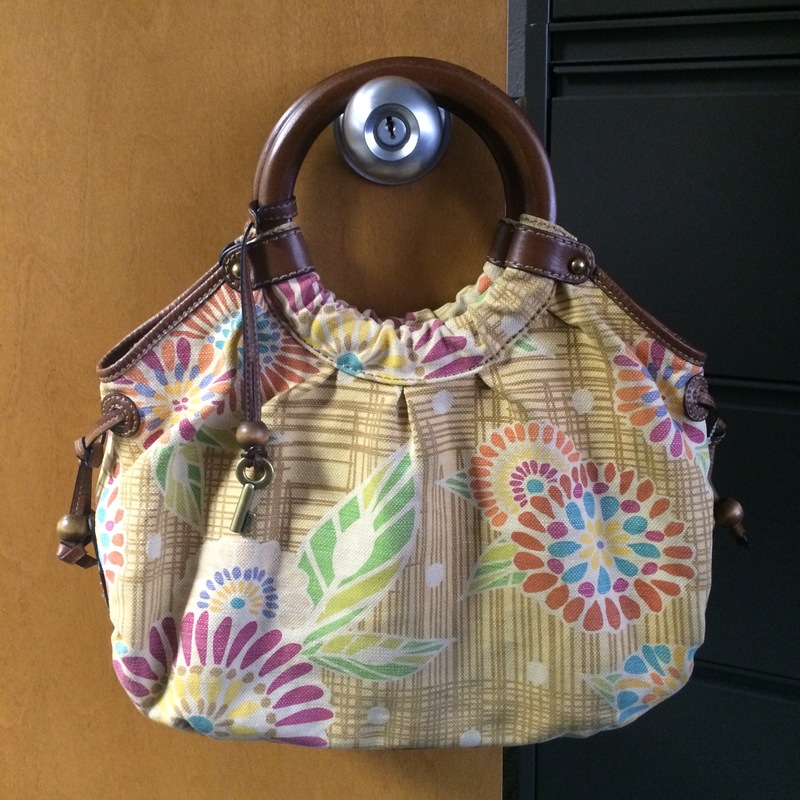 Today brings this Liz Claiborne fabric bag with leather trim that reminds me of Fall. Let me tell you: If you see a Liz Claiborne bag with these kinds of detials and this kind of zipper, it’s a higher end bag. There are some cheaper or knockoff LC bags, but check out the quality of the trim and hardware and you’ll be able to tell. This one has a beautiful leaf pattern with brown leather whipstitched trim. Very spacious with three sections inside: two large sections with a zipper seperator will transport all of your… stuff with style. The leather feet are the cutest part of this bag to me. Yes, I really like this bag, but I have a red leather LC that you will see in the 50 days of Easter, so I’ll be fine. Email me at 50favbags@gmail.com with bag 20 if you like this LC bag. 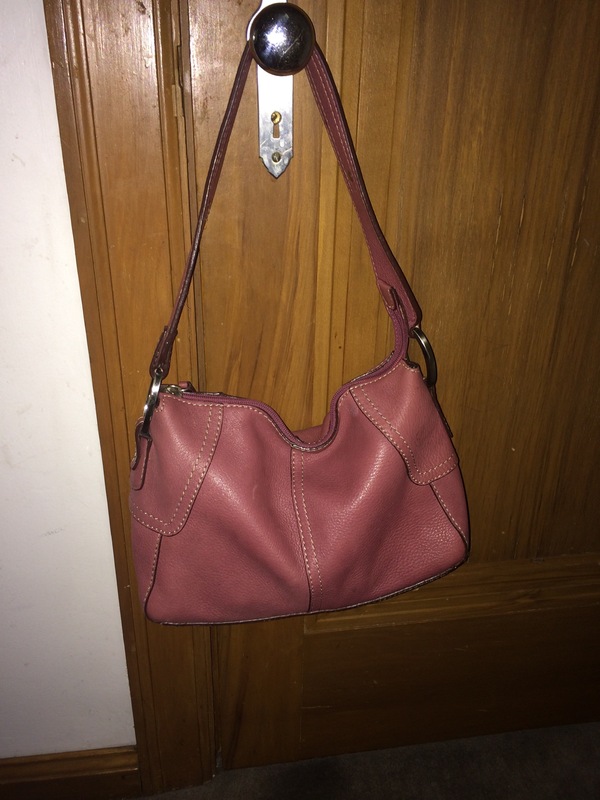 This entry was posted in 2019 Lent Bag Giveaway, thrifting and tagged brown, fall, leather trim, leaves, liz claiborne, multicolored, red on March 28, 2019 by miriamgmck. 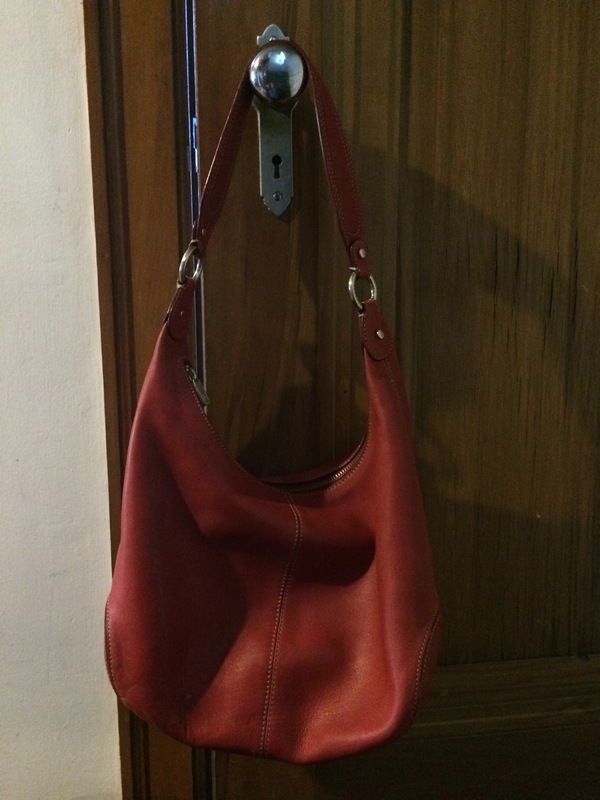 This Liz Claiborne leather constructed hobo is one of my favorites. Every day of the 50 days of Easter I reach for it and then think no, I need to wait. Well today was the day – I was wearing gray and black and needed a boost. 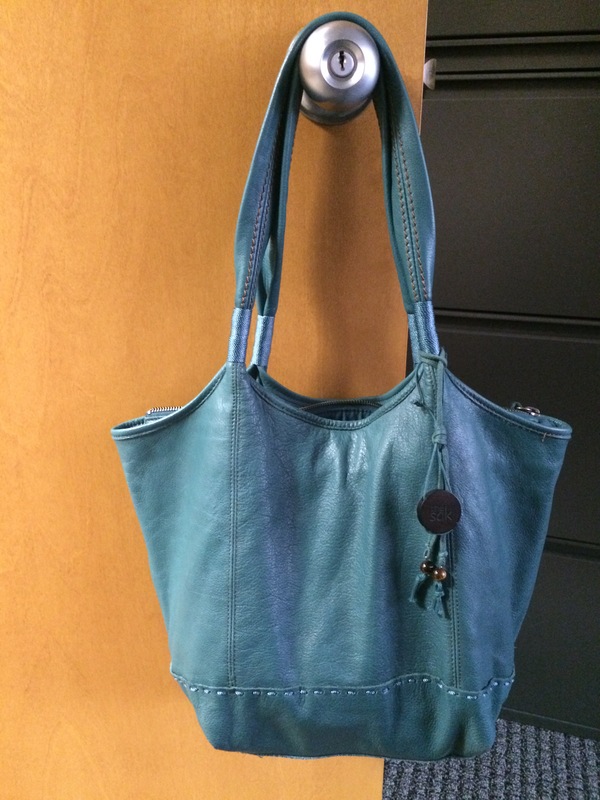 Well made, beautiful details, smooth, soft leather – it was a thrift store win. 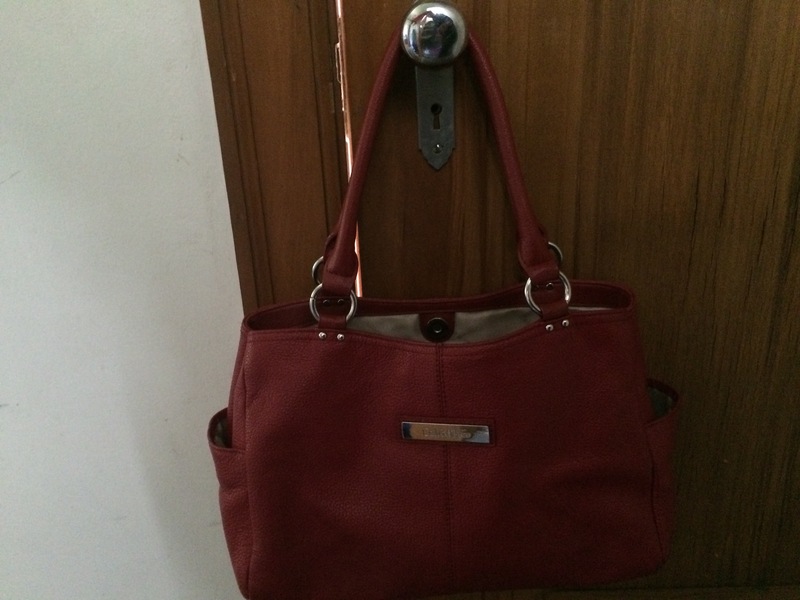 This entry was posted in thrifting and tagged gold hardware, goodwill, Handbags and Purses, Leather, liz claiborne, red, thrifting on May 2, 2018 by miriamgmck. Okay, I struggled with myself to let this one go. 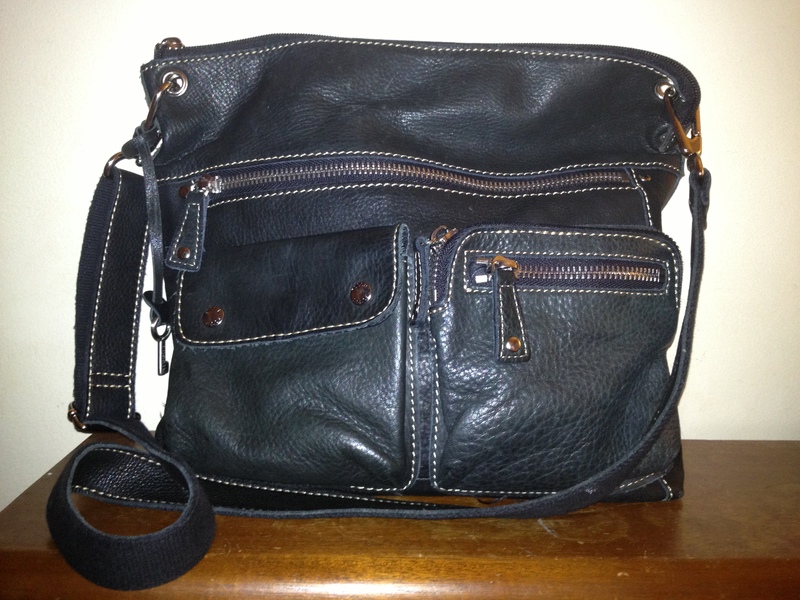 This is a vintage Liz Claiborne purse, 100% coated cotton with leather trim. I mean, it screams 80s and early 90s. And of course, all that stuff is back again. If you need a lightweight bag, this is it. The drawstring closure with the wooden beads will take you right back to your mustard oversized button down and your multi-colored loafers. Oh wait, that was me. Email me with “bag 9” at 50favbags@gmail.com and make everything old new again. 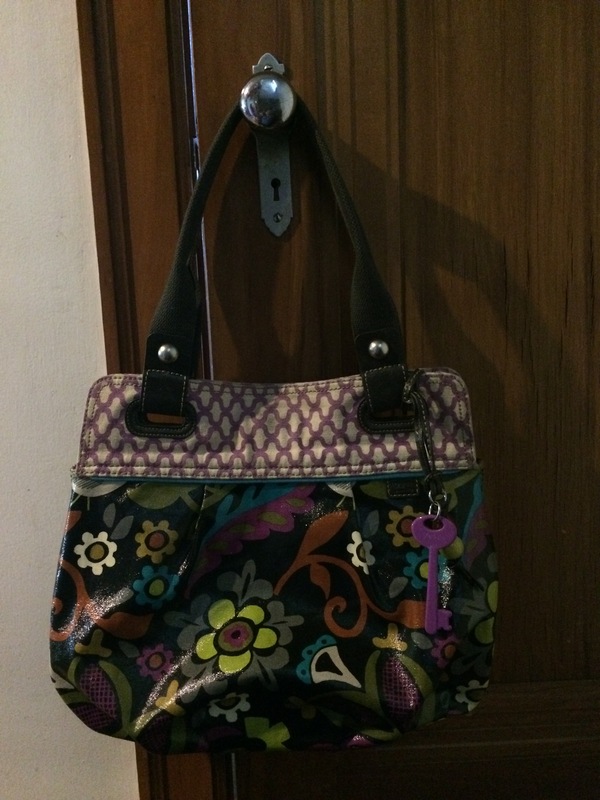 This entry was posted in 2017 Lent bag giveaway, thrifting and tagged cotton, floral, liz claiborne, purse, vintage on March 10, 2017 by miriamgmck. On Sundays, I go smaller because i can. 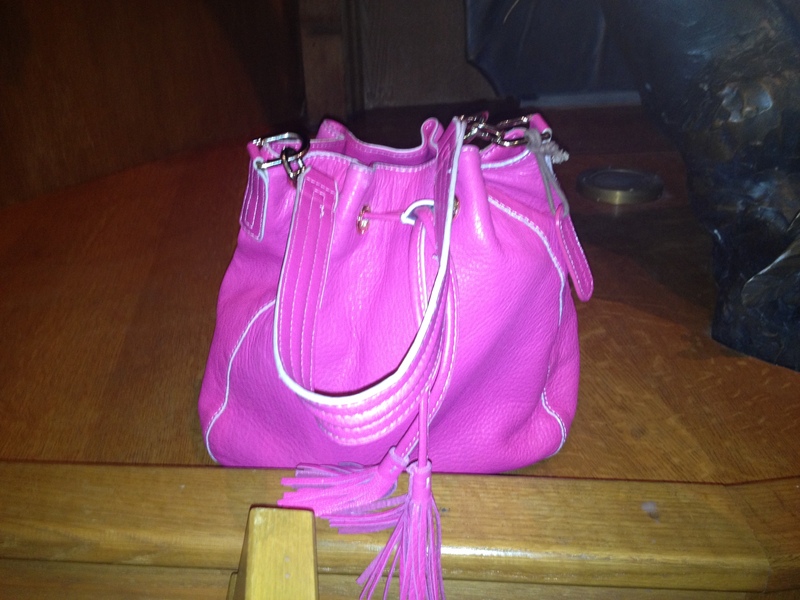 I love this pebbled leather pink Liz Claiborne purse; I’ve had it several years and it always feels new. This is another one that i wrote about two years ago. One of these days i’m going to count how many I still have from then. Lots are gone now; gone to a better place – someone else’s closet. This is the bag that held up this post. On Thursday, I couldn’t remember what i had carried on Monday. This morning, i decided to just look at the bags and then i remembered: this blue Prague shoulder bag. It’s one i don’t use often, and then when i do, i wonder why i don’t use it more. Woven things… i’ll never get sick of you. I saw this at the St. Vincent near my house, which can be a crapshoot on a good day. That day was a good day because i got this vintage bag with a woven front and leather everything else. What can i say, it’s found a new home and lots of friends at my house. I love the Southwest flavor and of course it’s got an African bead on it – so it’s got mixed ethnicity, like me. COOL! I like big bags and i cannot lie. But, this one almost went into the giveaway this year, because as much as i love it, it’s a black hole. This huge Margot black pebbled leather tote is almost a weekender; IT’S GIGANTIC. and if i’m saying that, it really is. I couldn’t part with it so of course i grabbed it for a work day. EVERY time i need my keys i need a search party or three arms. But what can i say – it does it’s job of carrying all of my stuff beautifully. 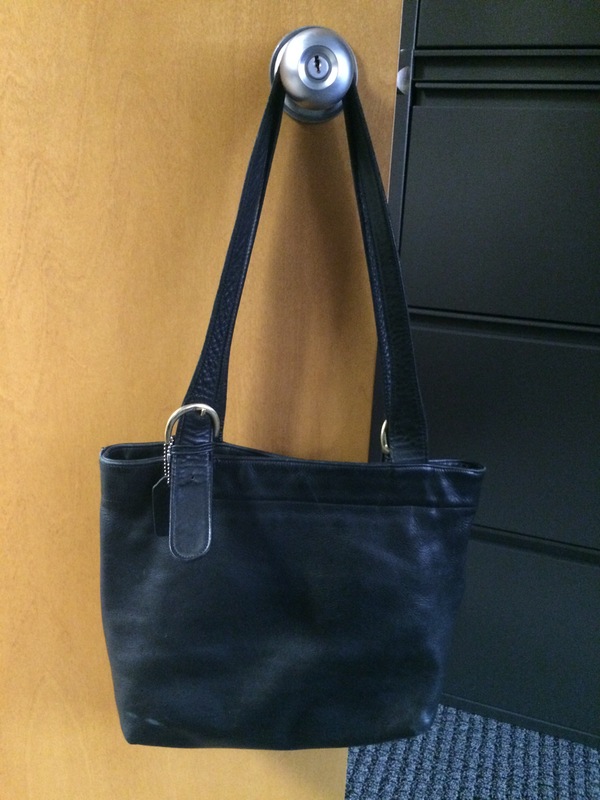 Jaiya’s pick – this gray bag i got at Clothes Mentor, which i you haven’t heard of it, is like Once Upon a Child or Plato’s Closet for grown women. YESSSSSSSS! 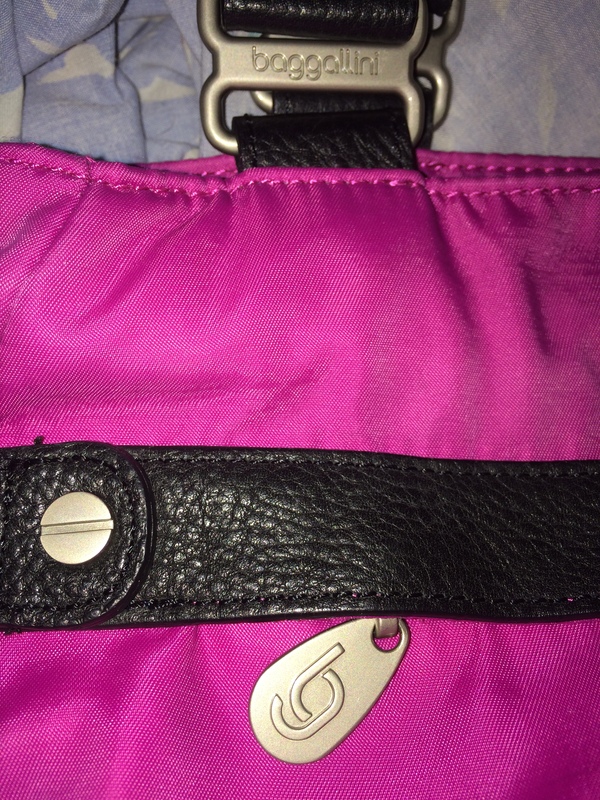 Plato’s Closet is a great source for purses, but they have this annoying habit of hanging them on skirt hangers, which of course RUINS the leather with a pinch mark. DUH people! Clothes Mentor is the bomb. 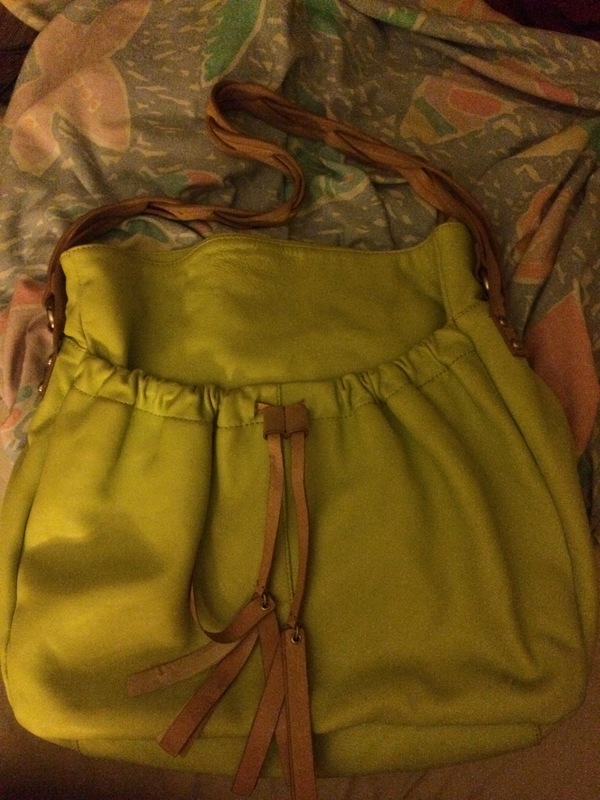 I got this bag for $18 and of course searched it and found it still for sale for $200+. The taupey gray goes with lots (except brown) and has a convertible set of clasps which makes it smaller. Of course I unhook those babies and TOTE IT UP. This entry was posted in thrifting, tj maxx and tagged black, blue, gray, liz claiborne, Margot, pink, prague, Reiss on April 26, 2015 by miriamgmck. mother’s day is a challenge for me, as my mom has been dead for 12 years. we came home from being at my in-laws for spring break the day before easter in 2001and stopped by my folks house before going home. as soon as we left, my dad took her to the hospital and she had triple bypass two days later – the day was going to have a biopsy, we later found out. when she did have the biopsy, she was diagnosed with colon cancer that had spread to her liver. she died three months later – 3 weeks before 9.11.
having a personal death close to that event made it almost impossible for me to grieve for her. her death was unfair to me, but some of it she brought on herself. meanwhile, here was this unimaginable, horrifying event unfolding – it made my mom’s death seem like something i should just get over. my dad imploded. i still had to parent and then help my dad. i was in a suspended, sleepless state for many, many months and years. less now than then, but i still have my stretches. time does heal wounds, but mother’s day is still tough. this year was probably my best yet in terms of tear flow. i know it’s important for my girls to be able to celebrate mother’s day. i’m just not that into it, but i’m trying to be better. regardless, i took the opportunity to use one of my favorite bags of hers as a phone case: i remember it having a short strap at one time but i probably wore it out. 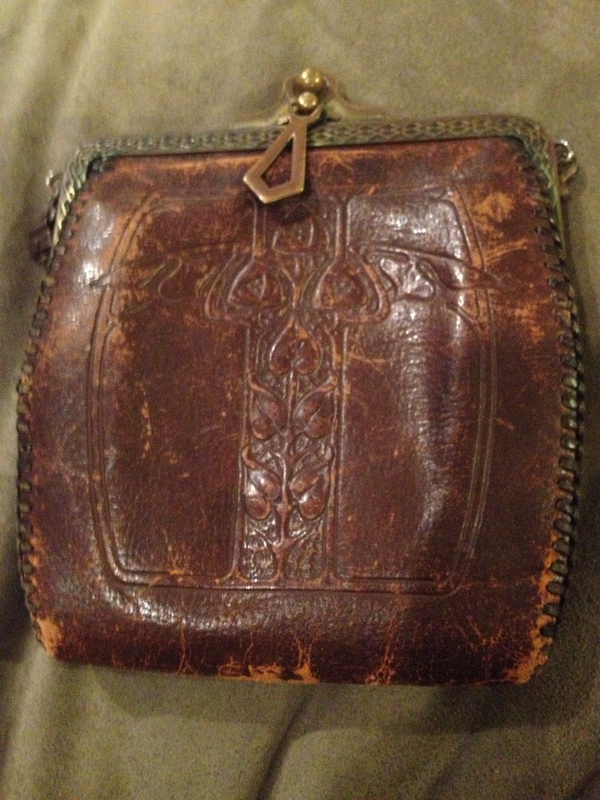 i mentioned this purse in another post, and in another, i referenced her love for tooled leather. while we didn’t always have the best relationship, especially from age 13-26, she instilled in me a love of accessories. she was really telling me to love myself. she was a nurse, so she wore a lab coat most days. 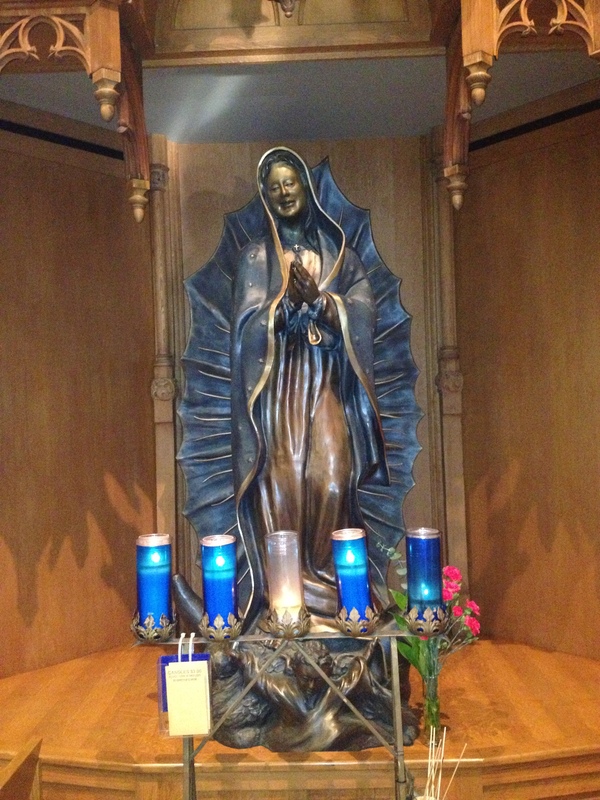 but when she went to church… watch out! she believed in hooking up an outfit from head to toe, leaving no jewelry, scarf or handbag left behind. the older i get, the more i understand how important it was for her to have that corner of the world for herself. actually, it was three closets, but who’s counting? 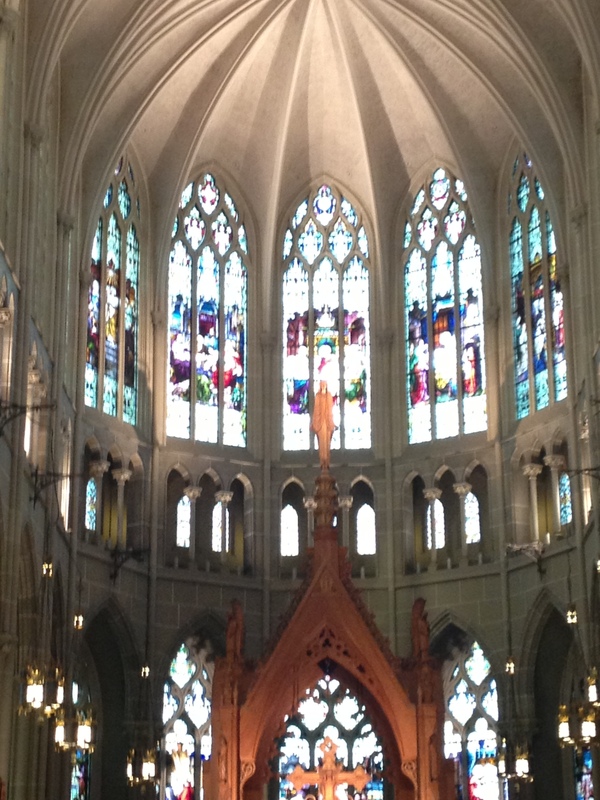 fortunately, my oldest had another concert and i was able to enjoy the beautiful Cathedral Basilica of the Assumption in Northern Kentucky. what a gorgeous location. it truly helped take my mind off of missing mom so much. peace, and happy mother’s day to all the moms out there. i appreciate you. This entry was posted in tj maxx and tagged 9/11, cancer, Cathedral Basilica of the Assumption, concert, daughters, death, Handbags and Purses, Happy Mother's Day, hobo, liz claiborne, mom, mother's day, pebbled leather, pink, tj maxx, tooled leather on May 12, 2013 by miriamgmck.